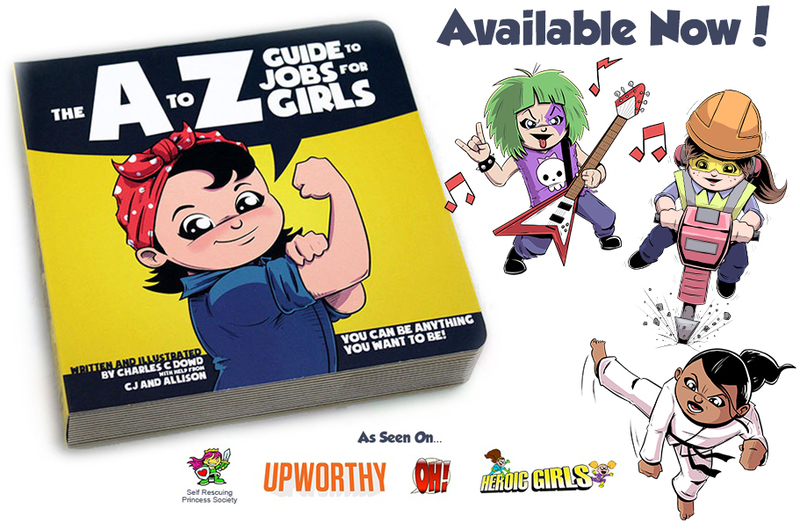 The A to Z Guide to Jobs For Girls is an adorably illustrated alphabet book featuring both traditional and nontraditional career options for girls such as Astronaut, Firefighter, and Quarterback! With an emphasis on STEM, the arts, and athletics, The A to Z Guide to Jobs For Girls is designed to help empower young girls and teach them from the very start that they can follow any career path they choose, and be anything they want to be! Comics, Kid’s Books and More! All content ©2010-2019 Charles C Dowd. All rights reserved.